This website was made with Org-mode, a powerful outliner for keeping notes, maintaining ToDo lists, doing project planning and authoring. 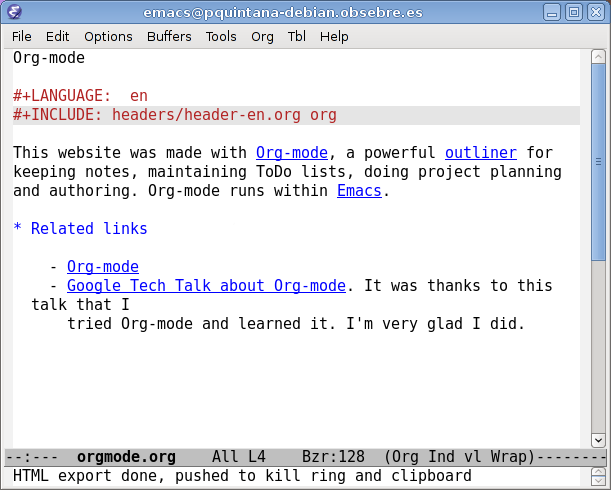 Org-mode runs within Emacs. Google Tech Talk about Org-mode. It was thanks to this talk that I tried Org-mode and learned it. I'm very glad I did.